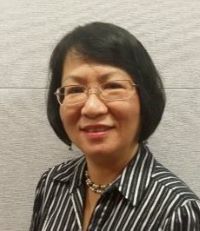 Jane Foo is Chairman of BIIA. Jane is an expert in ethics & compliance, operational risk and audit. Jane looks back on 20 years of experience in compliance, operational risk and audit across a broad spectrum of banking businesses, products and services. Her past affiliations include being a director of compliance at American Express International, Inc., Singapore. Head of compliance – retail and wealth management divisions, ANZ Bank. Head of compliance – retail and wealth management divisions, ABN AMRO Bank. Head, control & compliance, Citibank Singapore Limited. Divisional Head (Vice President), operational risk management & compliance division, UOB Group. Chair of the ABS operational risk management task force; a member of the ABS financial crime task force. 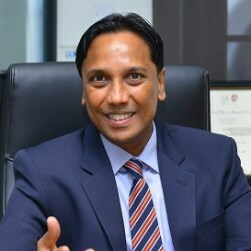 Nandi Anthony (FCMA, MBA Sri J. ): He is the Director, General Manager of the Credit Information Bureau of Sri Lanka. He also serves as a member of the Financial Stability Committee and functions as a Task Force Head in the Ease of Doing Business team. His career spans over 25 years in the Financial Sector, with a proven track record of extensive Senior Management Experience at a leading foreign Commercial Bank, Investment and Merchant Banks and as Head of Finance in leading stock broking and Investment Management houses in the country. He is a Fellow of the Chartered Institute of Management Accountants (FCMA), UK and has a Master of Business Administration (MBA) degree from the University of Sri Jayewardenepura, Sri Lanka. 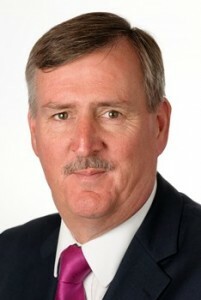 Adrian Ashurst is President at Worldbox Business Intelligence, an international provider of business and credit information, with operating units in many countries in the world, across Europe, Asia Pacific, Africa, and the Americas, managing the strategy implementation of the Group worldwide. Adrian Ashurst is also Senior Partner of Graham Associates AG, a Swiss consulting company which provides financial and consulting services to International companies doing business in Switzerland. He was previously Director and Chief Financial Officer with the Intrum Justitia Group based in Switzerland with responsibilities for IT development. He was CEO of Dun & Bradstreet in Switzerland until 1992. Joachim C. Bartels, Co-founder & Managing Director of BIIA. 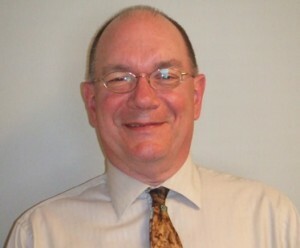 Bartels is an information and business development specialist with 35 years of global experience. He spent most of his career in senior management positions at Dun & Bradstreet. 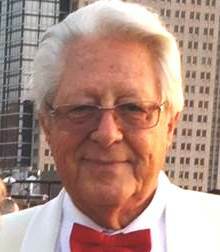 He has served as volunteer in major industry associations in Europe and the USA since 1975. Joachim C. Bartels owns and operates Intrepid Explorers, Inc. a information business consultancy. Shahid Charania is Managing Director for Emerging Markets for Equifax. Appointed to this position in July 2008, he leads our company’s efforts for emerging market expansion which includes Russia, India, Singapore, Malaysia, Cambodia, the Middle East and other similar markets. He is responsible for creating strategic direction for expansion in these areas, for building and maintaining appropriate relationships within these markets and for operating Equifax’s businesses in these countries. 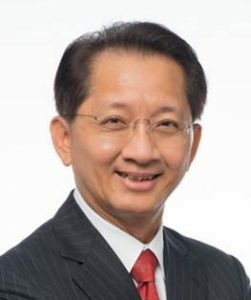 William Lim Wah Liang is the Executive Director of Credit Bureau Singapore (CBS). He was part of the team that established CBS and has been managing CBS since the commencement of its operations in 2002. He has led the initiative to establish credit bureaus in Asean and has successfully obtained licenses and/or approval to operate credit bureaus in Singapore, Malaysia, Cambodia, Myanmar and Indonesia. He sits on the board of Credit Bureau Singapore, Dun & Bradstreet Singapore, Dun & Bradstreet Malaysia (D&B), Infocredit Holdings, Credit Bureau Cambodia, Myanmar Credit Bureau and Asia Credit Bureau. 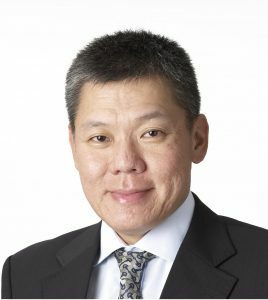 William also serves on the Board of Advisors of the Financial Planning Association of Singapore. Neil Munroe is Principle Consultant of CRS Insights Limited: Neil comes to BIIA with 35 years’ experience in the financial services and credit reporting industries. For the last 12 years he was responsible for External Affairs and Communications at Equifax, which involved extensive customer, industry body and government liaison, monitoring regulatory and other external affairs that could influence the credit reporting industry in the UK. Since 2009 Neil is serving as president of ACCIS, the Association of Consumer Credit Information Suppliers. Surapol Opasatien is currently the CEO of the National Credit Bureau Co., Ltd. (NCB) – the only one credit bureau in Thailand. He has joined NCB since 2008 as an Executive Vice President; and later as a Senior Executive Vice President of the Business and Operations Line before nominated as CEO in 2010. He is experienced in financial and banking industry for more than twenty years as he was with the Thai Credit Retail Bank, TMB Bank, and other financial-related corporate before joining NCB. Besides taking his management responsibility as the CEO; he is also taking a social responsibility as a guest lecturer and speaker for many well-known institutions and organizations in Thailand regarding the SMEs development, financial-disciplinary and creditworthiness. 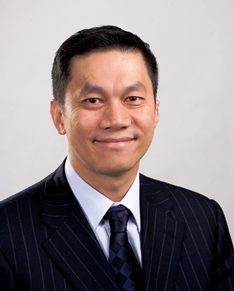 Lawrence Yee is co-founder and Director of Value Creation Center Co. Ltd. in Hong Kong, while serving as advisor to D&B Greater China region since March 2011. Value Creation Center (www.vc2.asia) builds on a new model investing in small and medium sized enterprises in China through strategic management, globalization, technology and funding leading to IPO. Its network of experts and advisors is mostly former senior executives of MNC’s with Asian exposure. Prior to Value Creation Center, he has been Sr. Vice President, Business Development of D&B International since Dec. 2006, after serving as Vice President & Managing Director for D&B Greater China Region for seven years during which its business has undergone successful turnaround and significant growth. 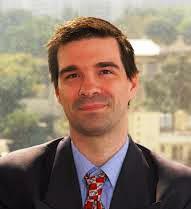 David Emery is CEO and Founder of Reciprocus and a member of BIIA. He was one of the key initiators of BIIA leading to its foundation in 2005. Due to his long-standing commitment to the association David was appointed special Advisor to the Board of Directors of BIIA. In this capacity David will assist the BIIA Board in the selection of Directors and in the strategic direction of the association. Reciprocus is a Singapore-based global M&A advisory boutique. The word “Reciprocus” is the Latin origin for “Reciprocity” and represents the firm’s commitment to ensuring mutual benefit through cooperation. It is a core principle of Reciprocus and embodies the spirit in which it approaches transactions. Its mission is to advise investors and companies on cross-border growth acceleration throughout Asia Pacific by relying on local expertise and ensuring transparency when executing deals. CRS Insights Limited provides strategic and operational consulting services to all stakeholders involved in credit reporting systems, including data suppliers and users, credit reporting service providers (private credit bureau and public credit registers) and regulator/policy makers. Peter co-ordinates member activities in the Asia Pacific region and he is also a member of BIIA’s global regulatory committee. Peter represents BIIA in APEC / ABAC events being a regular contributor on the subjects of financial inclusion and SME access to finance issues. Peter comes from the IFC (World Bank Group) were he worked as Credit Bureau and Risk Management Advisor from 2005 to 2014. At IFC he was actively engaged in establishing world class consumer, SME and commercial Credit Bureaus in Egypt, Nigeria, Vietnam, Cambodia, Laos, Ghana, Tanzania, Sierra Leone, Liberia, Haiti, and Pacific Islands. He was also involved in projects concerning the interaction between Secured Transactions Registries and Credit Bureaus. Prior to joining IFC, his professional experience included working for one of the leading international credit bureau and decision solutions companies, Baycorp Advantage Limited as General Manager – International, and was the senior executive for the company based in New Zealand. As part of that role, he was responsible to oversee the development, delivery and implementation of Baycorp Advantages international deployment of credit bureau in Singapore, Malaysia, Fiji and the Kingdom of Saudi Arabia. Mr. Thirachai Phuvanatnaranubala was chairman of BIIA from October 2017 to August 2017. Mr. Thirachai was Thailand’s Finance Minister in 2011/2. 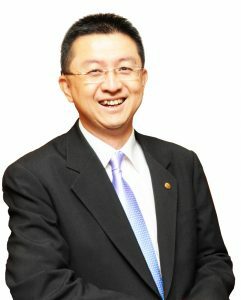 He is currently Chairman of the Audit Committee of Thai Life Insurance Company, one of Thailand’s three life insurers. His opinion is highly respected and widely quoted in public media in Thailand and South East Asia. He was Advisory Chairman to the Board of Directors, National Credit Bureau Co., Ltd., Thailand’s only consumer credit information provider. He was Secretary General of the Securities Exchange Commission of Thailand between 2003 and 2011 and Chairman of ASEAN Capital Market Forum. He obtained his first degree on Economics at the London School of Economics and Political Science, London University, and later became a Fellow of Chartered Accountants after training at Price Waterhouse, London. He started his career at the Bank of Thailand, the country’s central bank. His last position there was Deputy Governor. In Memoriam: Hans P. Belcsak, President of S.J. Rundt & Associates, Inc., headquartered in New York City, a country risk and corporate intelligence consultancy passed away during the last week of February 2018. The credit management and credit information profession has lost one of their prominent experts. Since 1973 he has been President of S.J. Rundt & Associates, Inc., of which he was the active principal. Dr. Belcsak, was publisher of Rundt’s World Business Intelligence dealing with global political and economic trends, Rundt’s World Risk Analysis Program of country risk assessments, The Financial Executive’s Country Risk Alert, and Rundt’s FXPRO Foreign Exchange Rate Forecasts. He was a regular contributor of articles to international trade & financial journals and has made contributions on foreign exchange strategies to several books on international finance. He was a member of the International Advisory Council of the American Management Association, a past member of the Board of Directors of the FCIB-NACM Corporation and BIIA – Business Information Industry Association. Hans participated in several of our conferences. Phil Cotter is Managing Director Financial Crime & Reputational Risk at Thomson Reuters. Until recently he managed his own consulting firm Cotter Consulting Ltd. He is based in the UK.Phil Cotter has extensive general management experience of driving profitable growth through innovation and leading change to adapt to market trends in the information industry. He served as Managing Director of Experian’s UK Credit Services and Business Information and Experian’s global leader of its Business Information line of business with responsibility for defining and executing global strategy. He was a former Director of BIGNET, a consortium of international Business Information providers. 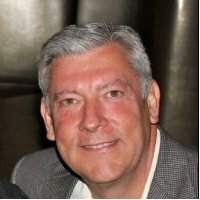 Phil was recently nominated to serve on the Board of Directors of BISNODE, a leading European business information supplier.Phil comes with a wide range of expertise in consumer and business information, data integration, analytics, decision systems, workflow, identity verification and fraud prevention. Phil Cotter served as deputy managing director of BIIA and represented BIIA in many external events. BIIA thanks Phil for his dedicated service on behalf of the membership of BIIA and the industry as a whole. Gareth Jones served on the Board of BIIA until 2015 while being CEO of Dun & Bradstreet Australia and New Zealand. 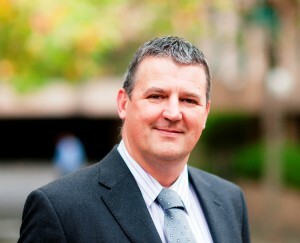 Gareth Jones worked at D&B since 2002 in various executive position in Europe and Australia.